The process was simple, really. 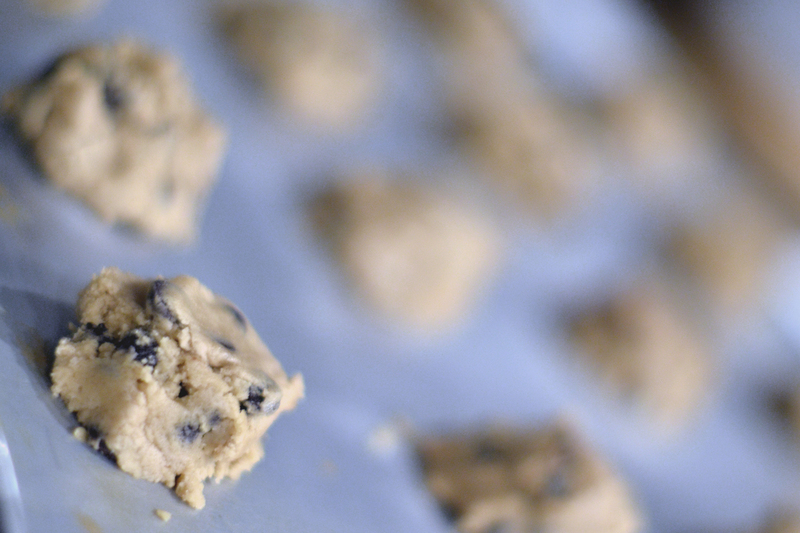 We bought pre-made cookie dough from the store and dropped them by spoonful onto an ungreased cookie sheet. 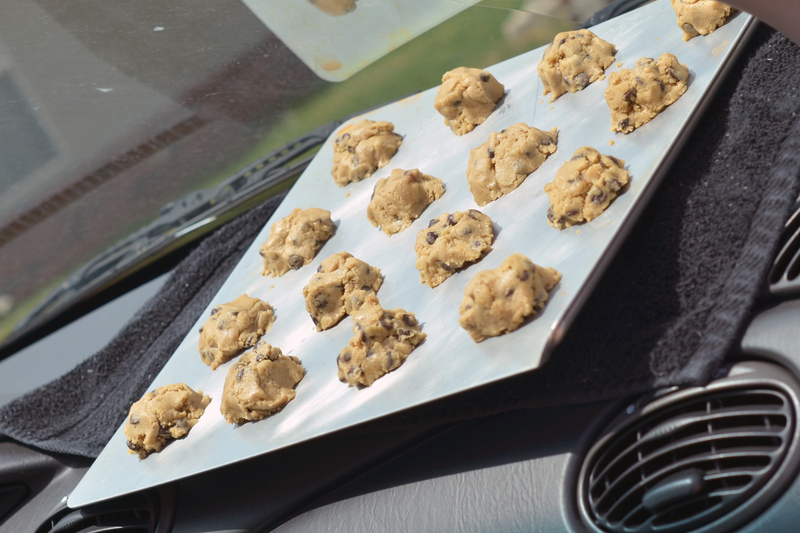 Then, we took the cookie sheet and placed it on a towel inside of the car on the dashboard. 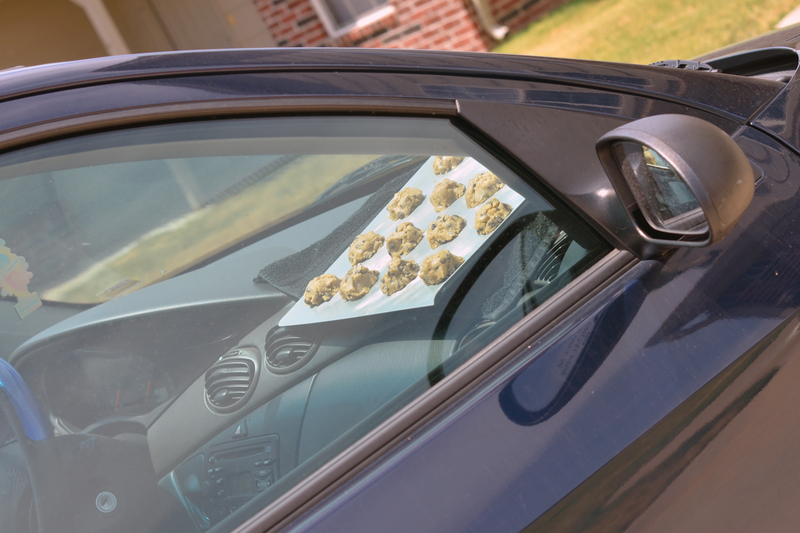 With the car in the sun, we placed a thermometer inside and began taking 30 minute increments to check back on the progress of the cookies. 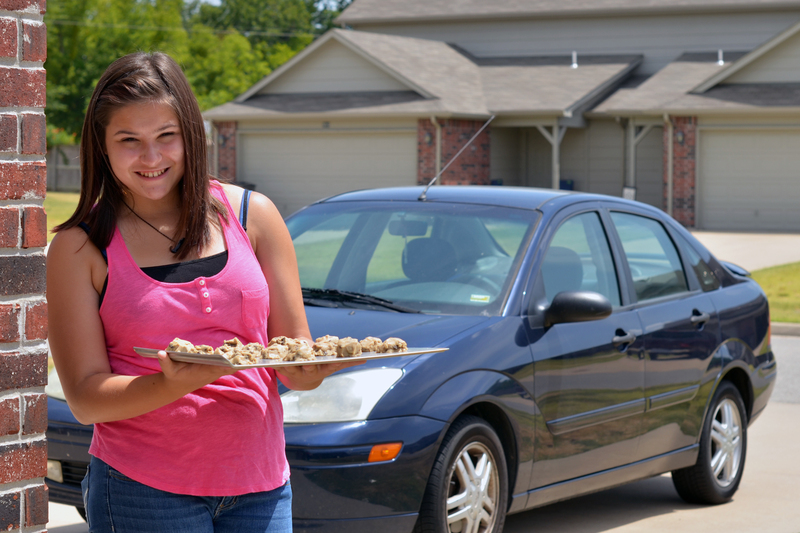 It took 2.5 hours for the cookies to bake inside of the car. The internal temperature of the car reached 180 degrees. 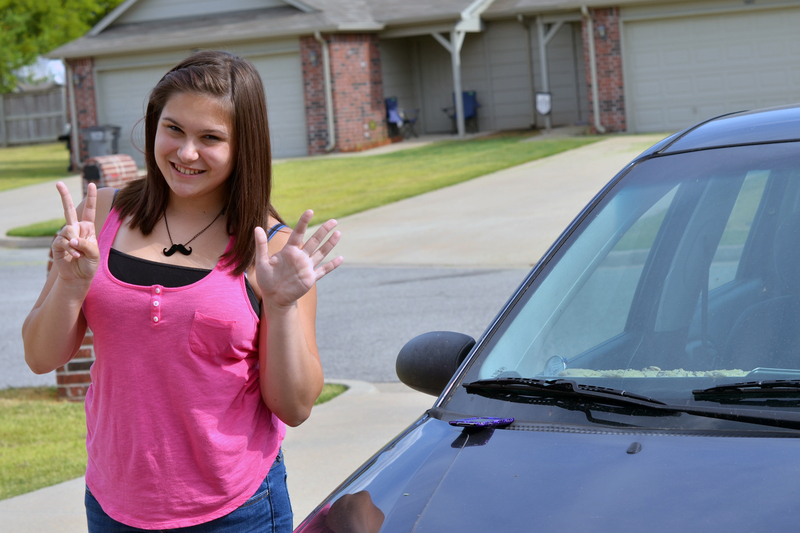 If that isn’t enough reason not to leave your kids or pets in the car, I don’t know what is. The cookies did not brown completely because the car, unlike the oven, doesn’t get hot enough to caramelize the sugar. The texture was super-soft and “just perfect” according to my husband. 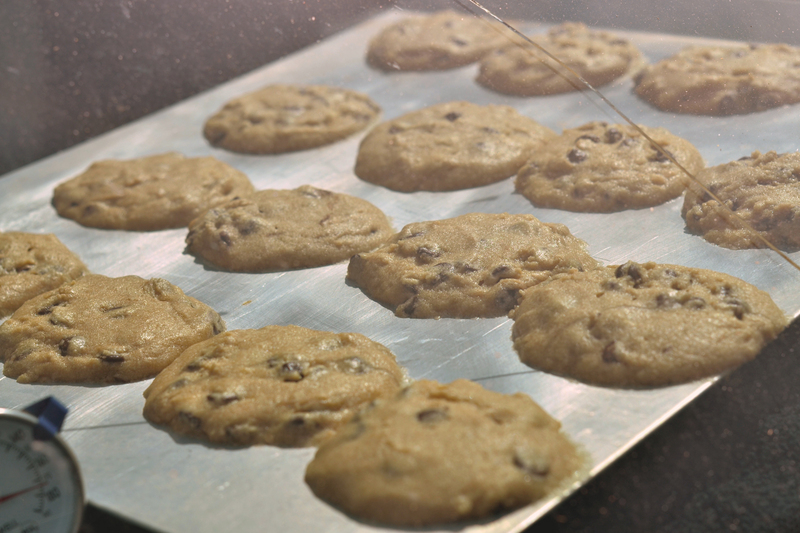 If you are nervous about salmonella, I would recommend using an egg-less cookie recipe, just because I’m not sure that baking cookies in the car for 2.5 hours at 180 degrees really cooks the egg like it should be cooked properly. I’m not an egg expert and have been eating raw cookie dough for years, so I felt safe taking my chances. I will leave that decision (if you so decide to bake cookies in the car) up to you. Overall, this was really fun and provided a great snack without having to turn the oven on! 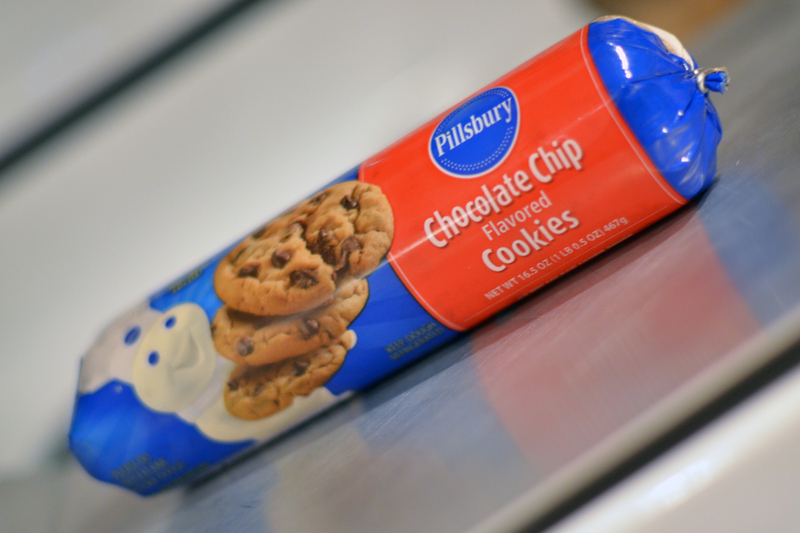 We even went to the store and bought more cookie dough so we could make another batch today! So, what do you think? 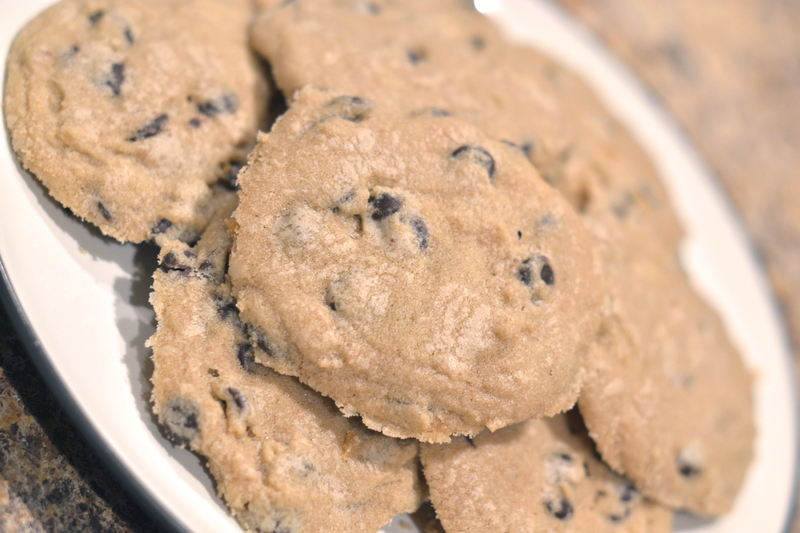 Would you ever make cookies in the car? If you decide to try this for yourself, I would love to hear how it works out for you! Are there any cookies left? I want one. Sadly, no! I think I may need to make more. I blame Jon. He had about seven in one sitting! 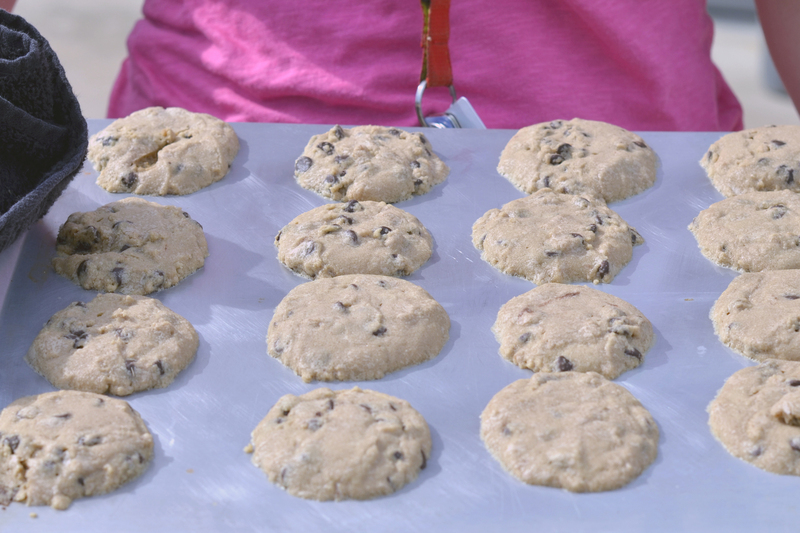 You are right about it being too hot to do anything…Congrats on the baking experiment…I have tried the egg on the sidewalk before, but not baking in the car….wondering if you cut can biscuts into smaller size, if they would bake in the car….might be your next adventure. I may need to try some biscuits or maybe even some cinnamon rolls! I’m sure they would just need to be in the car a little longer to cook all the way through. Thanks for the idea!